Reading Apprenticeship (Middle and High School): WISD August 19, 20 and September 24. Learn the framework that both teachers and students use to grow as literate thinkers and in their comprehension as they speak, read, write, and listen across the curriculum. Washtenaw Writing Collaborative (Middle and High School): WISD August 21, 22, and September 25. Learn best practices in writing built on the spirit and principals of the Reading Apprenticeship framework, and develop an implementation plan for your classroom. Michigan Model ELA Model Curriculum: Professional Learning for Literacy Leaders (K-12): Lansing, MI June 24-27. Learn the writing units aligned to ELA CCSS with current reading and writing theory and practice supporting UDL and RtI approaches, formative and summative assessments. 11th Annual Summer Literacy Conference- RLTC (K-8) August 13, 14, 15, 2013 in Hillsdale, MI. Attend 1, 2, or all 3 days. Topics include Writing and the CCSS, Close and Critical Reading, and Nonfiction. Nell Duke is the guest speaker on Day 3.
page for every species on Earth. worldwide map in the fashion of a wiki. project that has raised $319 million for various projects. 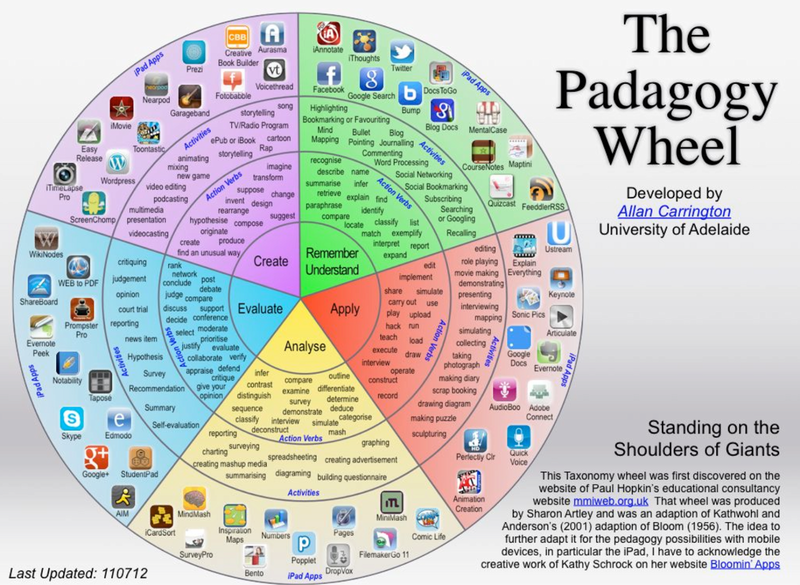 This wheel, originally designed to show Blooms Taxonomy levels, was adapted to consider pedagogy possibilities for mobile devices. It gets us thinking about how Bloom's levels from 1956 can be pulled into the 21st century with the technology that exists today for students and teachers. The SBAC Practice Test is set to be available today! The Smarter Balanced Practice Test is available to schools and districts for practice and training purposes, professional development activities, and for discussions with parents, policymakers, and other interested stakeholders.